Hint – Up, Down, Left, Right, Select, Start, A, B. Hint – No NFL license for this company this year. But we still got a Bobby Bell rookie. Its Friday already. Can you Guess The Set? I’ll unveil the answer in the comment section and on Twitter around 8:00 p.m. EST tonight. Hint – If you eat these for breakfast, you’ll be a champion. 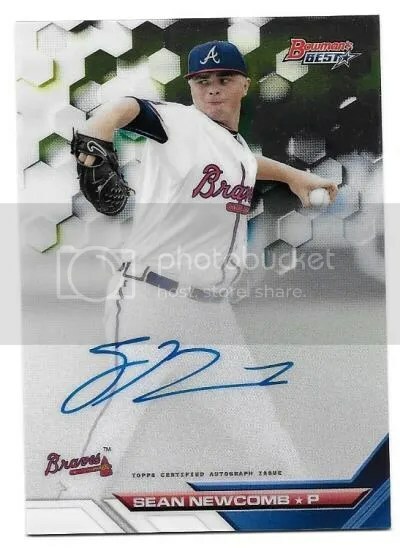 Congrats to dawgpaws on being the lucky winner of the Sean Newcomb 2016 Bowman’s Best Auto. Once dawgpaws sends me their mailing address, I will ship this card ASAP. Thanks! 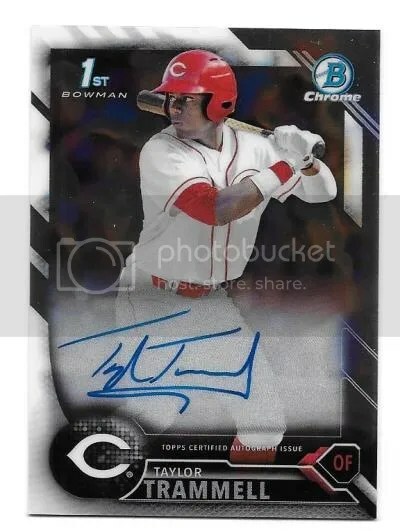 Congrats to Matt Wilson on being the lucky winner of the Taylor Trammell 2016 Bowman Draft Chrome Auto. Once Matt Wilson sends me his mailing address, I will ship this card ASAP. Thanks! 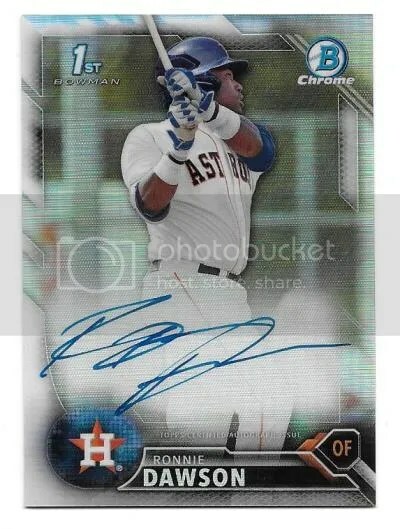 Congrats to Shane.K on being the lucky winner of the Ronnie Dawson 2016 Bowman Draft Chrome Refractor Auto #’ed/499. 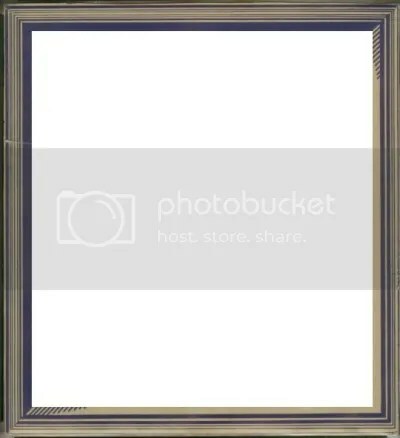 Once Shane.K sends me his mailing address, I will ship this card ASAP. Thanks!